Its the 15th! Last day for taxes to be filed and getting your return. Many were prepared in advance and have already recieved, others are scrambling trying to get it all done today with the anticipation that they will get what they have Hope for in a return. It’s funny because we look at our w-2’s and we see the time and effort we’ve put into our jobs/careers and sometimes it looks as though things aren’t adding up. We see what our salary is but then we look at the time we’ve spent to earn that salary, and we think “is it worth it”, “I am worth more than this!”. Have you ever thought that or am I alone in this one? 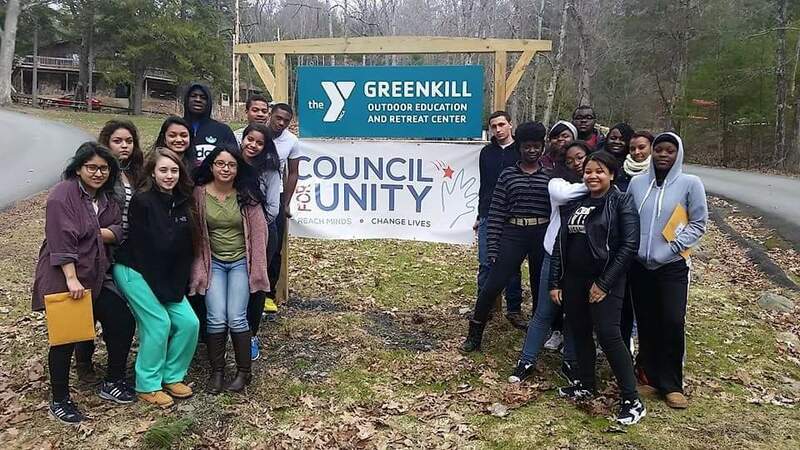 This past weekend I was in Greenkill,NY for a youth retreat. I was so excited to spend 4 days with the most amazing 20 teens/young adults from across NYC. Now I know some of you will see teen and think, “Teenagers, is she crazy, amazing?” And YES I said amazing. I am apart of an organization called Council For Unity, which teaches teens, middle school aged and high school, youth development in the areas of Family, Unity, Self Esteem and Empowerment. Throughout those 4 days they were challenged, broken, stepped outside of their comfort zone and made tremendous strides to being better people. The camp we were at facilitated team building activities with them and they had to learn to work together. I had the opportunity to speak to them about Self Esteem, and valuing themselves as young men and women. Hearing some of the responses and introspective insight they gained, truly blew me away. One student a male told me that even though this was 4 days, he is dedicated to taking what he learned to continue to be a better man! He is In Pursuit! Now I will say, 4 days with teens and young adults Does take ALOT out of you. The tiredness I felt is indescribable. However the Joy I felt is as equally Indescribable. Seeing those teens transform in such a short amount of time has done my heart well. I am completley convinced that they will soar to be successful, productive and model individuals in their communities and amongst their peers. That is the Pursuit of Return. In the thick of it we do not see the results of labor. We fuss, we want to quit, we want to give up, we feel exhaustion, we feel it All, BUT at the end of it all there is a Return, that’s Sweet and Right on Time. It makes you feel that your work was Not in vain and it fuels you to continue! To continue the work, continue the building, continue the fight. I want to encourage you to Continue the Pursuit because There IS a Return Waiting on the other side, you just gotta “file” for it in its Time! I am Excited for Your Return! I Invite you to Continue the Pursuit and Don’t let Anything Stop You! Until Next Time, Be You, Stay True, and Pursue! Follow My Blog! I am going to have some Juicy things coming Up! Have You ever wanted to share your story, I can help you! Schedule a 1 on 1 with me!